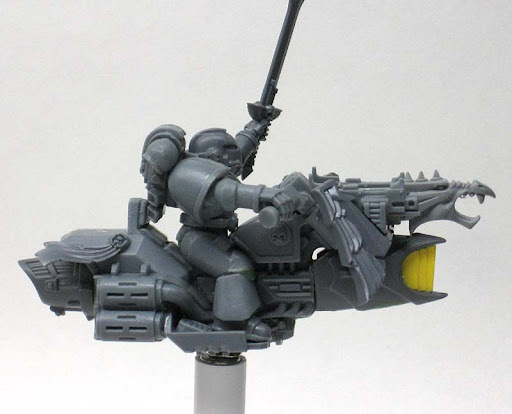 With Forge world releasing the new Scimitar Pattern Space Marine Legion Jetbike, a whole new world of Pre-Heresy modeling is starting to open up to us gamers. This thing is one of a kind and to be honest, I'm not sure I even know where to begin with trying to convert one of these up on my own. I suspect it could be done, but it might take some real plasticard work from an expert and at that point, you might be better off just picking up the real thing. I did try some quick mock ups, but couldn't get anything that was even remotely workable for my skill level. A while ago, I tried my hand at making my own Pre-Heresy jetbike. I'll tell you that it's an involved process that can get expensive fast in terms of the bits you need. Mine requires a regular Space Marine bike, a Dark Eldar jetbike, a few Chaos bits and some plasticard to make one converted Imperial jetbike. Mine is based off the collectable card game artwork and another conversion I'd seen done a long time ago. 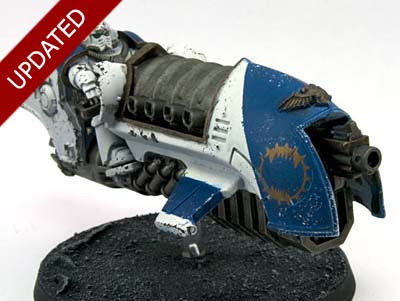 I definitely appreciate anyone who takes the time to convert their own jetbikes as I know the huge amount of work that goes into making just one model. Now there are a handful of third party jetbike alternatives out there to choose from as well for those not looking to build a squad of jetbikes. The looks vary depending on manufacturer and it shouldn't be too hard to find one you like. They all have a similar look to them with Forge World's version being the only one that I know of that sports the rounded bull nose to it. And don't forget, there's always the option of making your own. It's the best way to get a distinct look to your army for sure. UPDATE: I've since been able to sketch out what I think is a workable design using plasticard and some additional bits. I'm going to see if I can get it built this weekend. It's probably going to be a little more angular and brutal looking. Right, so I'm going to call this one a fail. I think this is a bit out of my league in terms of scratchbuilding. I have the idea, just lack the skill to pull it off right now. Maybe in a few more months with some practice. I've been lurking a while now, and wanted to let you know that I really enjoy your posts. I believe you when you say it could get expensive quickly, however I have to wonder how the price compares to the forge world bike. Would you figure you could mitigate the cost through bits businesses? Regardless of cost, they look great. The tempus fugitives have had a good following with their heresy stuff for the last ten years. I guess Ill be staying with their free stuff. I'll reserve judgement until I've seen one painted up in a style that I like. Muninn: Thanks for the comment. I think you might be able to do it if you could get ahold of any bit you needed and you were good with plasticard. The biggest hurdle I see is the shape of the nose. That would be super hard to replicate. If you squared it off though, it'd be a different story. Now that I think of it, that might make the project doable. Back to the drawing board to see if I can mock something up. Anon: I did not know that. Looks like you have to register to see their stuff though. Free material is always good though! rob82: Good point. You'd think they would go all out painting these up to get the most impact and make the best impression. At that point (buying multiple bikes for all the parts) you may as well consider Kromlech or Puppetswar's models for jetbikes. Actually, I think the place to start with converting up one of those Scimitar Jetbikes would be taking an empty deodorant stick and sawing it in half. Ian Logsdon: Absolutely, The third party options out there are perfectly fine replacements in this case. Rushputin: YES! I never thought of that one. That just might work and I'm crazy enough to try it. 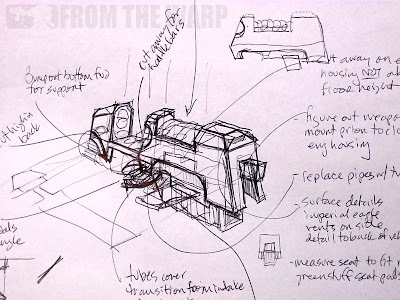 Ron, I've loved that jetbike tutorial ever since I found it in an issue of the "Astromag". 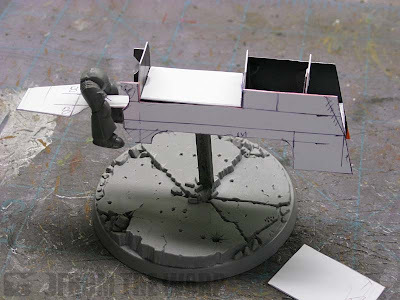 The next thing I want to try is whether or not this tutorial also works on the Ravenwing bikes from the Dark Vengeance box -- they are pretty similar to regular bikes, but with some notable differences, so it'll be interesting to try that. The FW model looks like an oversized Plasma Cannon with a HeavyHolter shoved up it business end and a Space MAarine straddling it. 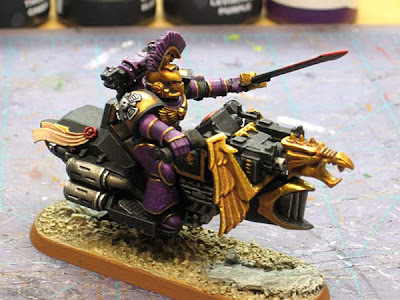 The old Scratch-builds floating around the internet, which were based on Horus Heresy artwork, look leagues better then this flying Turd FW has made. 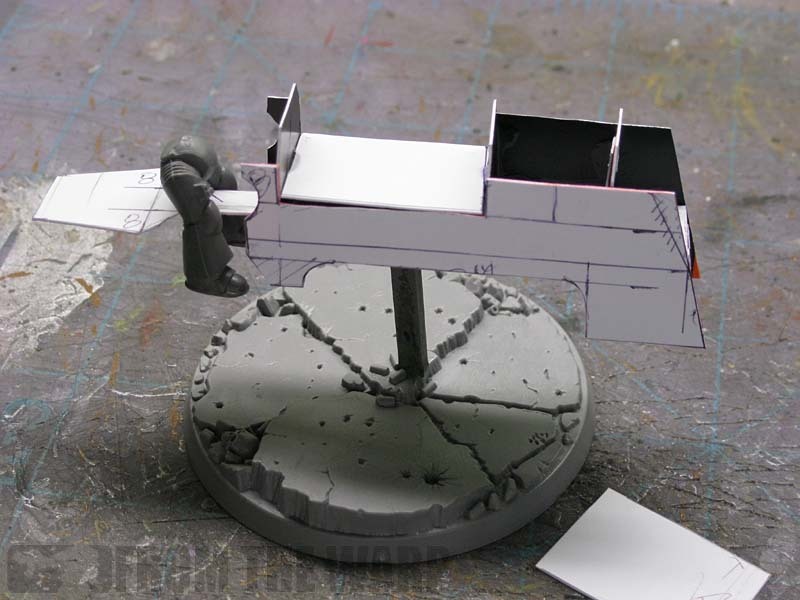 I think I rememer seeing your conversion guide when I first heard about SM Jetbikes. Excellent work. I have been toying with the idea for them since I first saw them. I just returned from Games Day UK with a squadron of those new bikes. I really like them - the cast seems awesome! I will paint them for GD France at the end of october and do a step-by-step on my blog. Have you thought about using curved plastic for the nose,something like a shower-gel bottle? Just harking back to the old-school grav tank that GW made back for 2nd Ed. Iain Jamieson: I hadn't thought of it until it was mentioned in one of the previous comments. I think they might be a shade too big though after looking at the one I have.